Vagamon is a place of three successive hills which have interesting things to offer besides mountaineering and trekking. 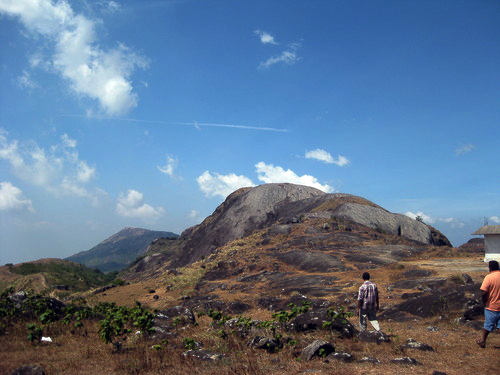 Thangal Hill or Thangalpara is located 5 kms from Vagamon. It is said that the Mausoleum of Sheik Fariduddin was found atop this Hill and since then it has become a site of Muslim pilgrimage. You will also be amazed to see the remarkable rock formations of different size and shapes. You can also visit the Indo-Swiss project. Hills of Vagamon are not very steep and hence it facilitates adventurous sports like trekking, rock climbing, paragliding and other exciting activities. The favorable trekking paths are the favorite haunts of the trekkers. Kurisumala hill is also situated 5 kms from Vagamon and lies close to Thangalpara. This hill houses the Kurisumala Ashram, a cloister for Christian monks who have Indian as well as Christian beliefs. It was founded by a Belgian Cistercian Abbot Francis Acharya and reflects solitary bliss. The Dairy farm in Kurisumala is a must-see. 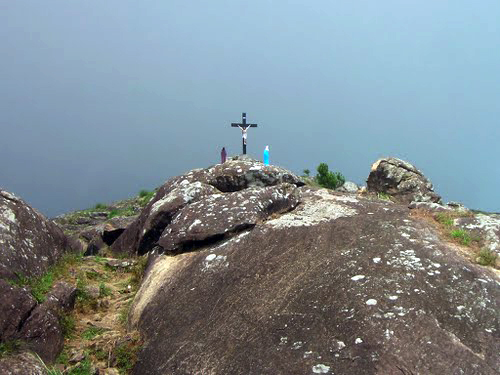 This hill also has 14 Crosses that are positioned at regular intervals and there is also the St. Thomas Mount, a centenary memorial. This place also offers various activities related to spiritualism. You can meditate peacefully amidst nature and feel the serenity of this blissful place slowly casting a divine spell upon you.